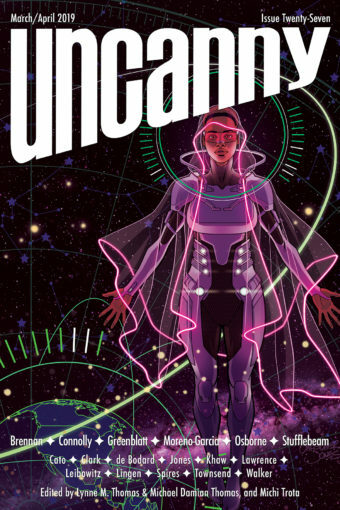 Uncanny Issue 1 Cover & Table of Contents! Coming in November, THE FIRST ISSUE OF UNCANNY!!! All of the content will be available in the eBook version on the day of release. The free online content will be released in 2 stages- half on day of release and half in December. Episode 1: Editors’ Introduction, Maria Dahvana Headley’s “If You Were a Tiger, I’d Have to Wear White” and Amal El-Mohtar’s poem “The New Ways” (both read by Amal), Interview with Maria conducted by Deborah Stanish. Episode 2: Editors’ Introduction, Amelia Beamer reading her story “Celia and the Conservation of Entropy,” Sonya Taaffe’s poem “The Whalemaid, Singing” (as read by Amal El-Mohtar), interview with Amelia conducted by Deborah Stanish. Reblogged this on jay x. wolf. 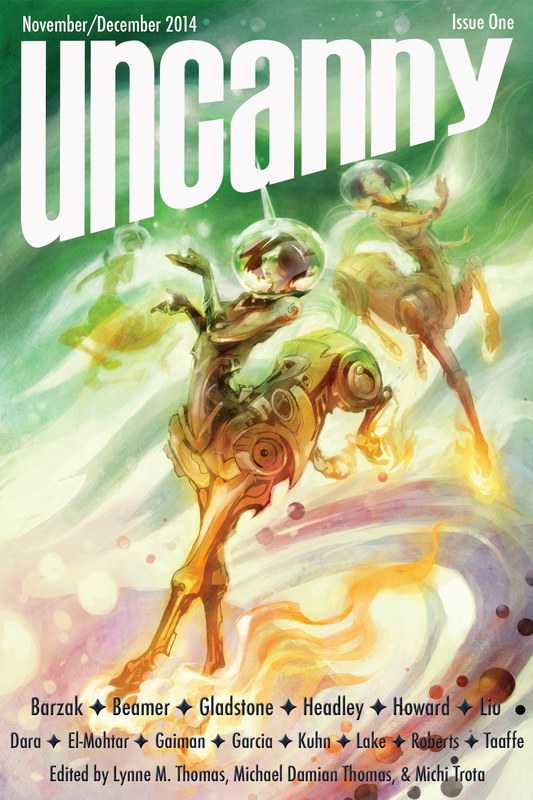 It’s great to see a new science fiction and fantasy magazine coming out. And the line-up of talent for the first edition of ‘Uncanny’ looks formidable. So I thought I’d share this for all those people, both readers and writers, wanting something new to explore. Reblogged this on Minimalist Eric.